I am having a 'foodie week' which I am firmly blaming on this very wet, windy and British weather. The week has only just begun and I am already in need of a sugary 'pick-me-up'! 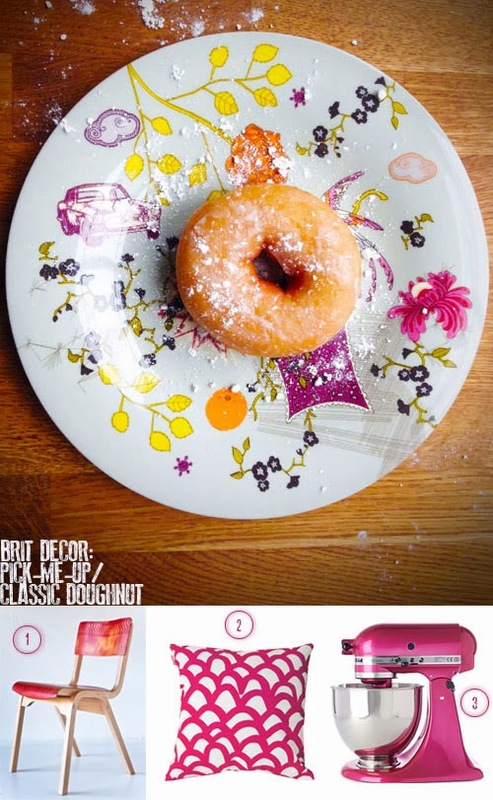 Isn't this alluring baked doughnut sweet with a capital 'S'? As if this wasn't tempting enough, adding this treat to a charming Peony Habitat plate (a past gift from two very dear friends) just made it look all the more delicious. After polishing off this naughty doughy snack, I felt inspired to source some equally tantalising accessories to further brighten my mood and shun the gloomy weather outside. Take the very delectable Kitchen Aid with the rather cool name of Raspberry Ice - I would surely want to make cakes all day long if I owned this model! Equally, look at how the heartwarming mix of pinks and yellows on this re-styled vintage chair from The Mint List sings out, and I just want to sink into this vibrant freestyle design Havet Red cushion from Quince. 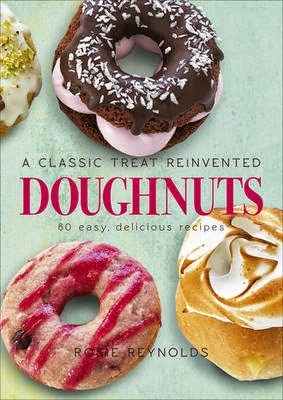 Just in case you are tempted to tuck into some fresh doughnuts, check out the fab book below by Rosie Reynolds, in which she gives the humble doughnut a mouthwatering makeover, including Maple Pumpkin flavour for Halloween! Is it wrong to go for doughnut number two now...?